Adrian discovers the magical Mini World in Lyon, France where visitors can explore an entire happy world under one roof. If one day I win the lottery, I would take up scale-modelling seriously and build my own diorama. 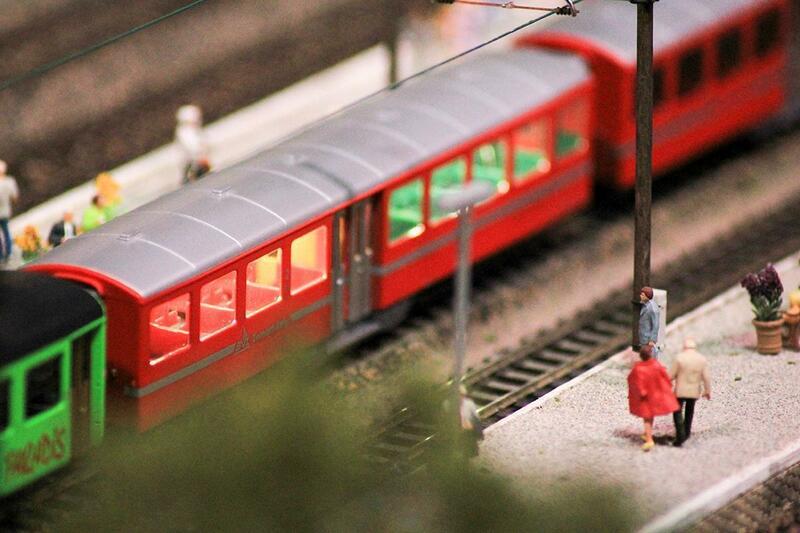 Until then, I enjoy visiting various railway modelling exhibitions to what others build. 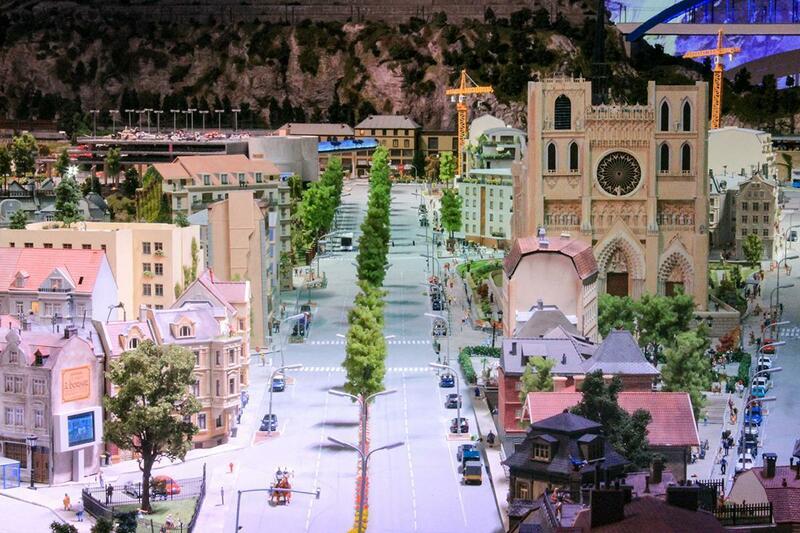 If a chance to see model trains running through beautiful model sceneries right in front of my eyes is irresistible, then so was the opportunity to visit Mini World Lyon, in France. 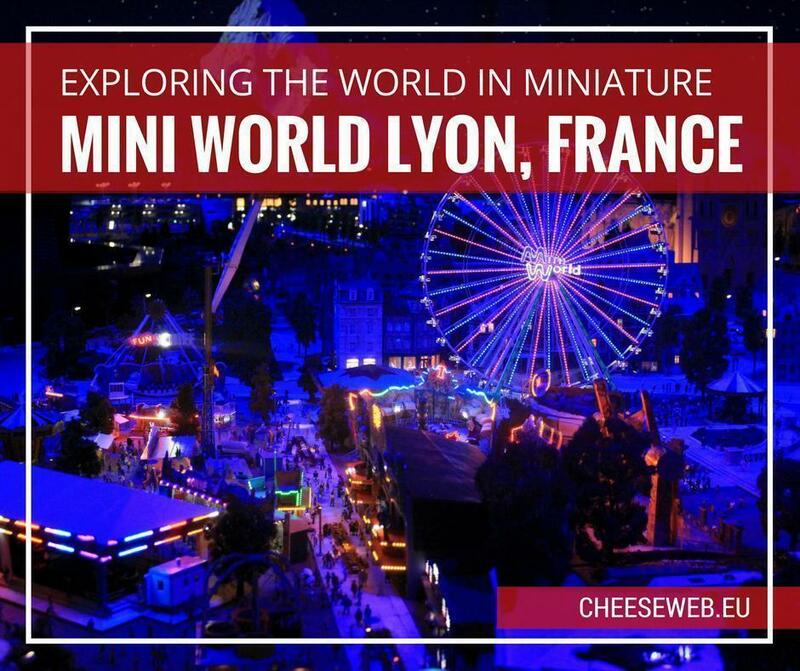 What is Mini World Lyon? 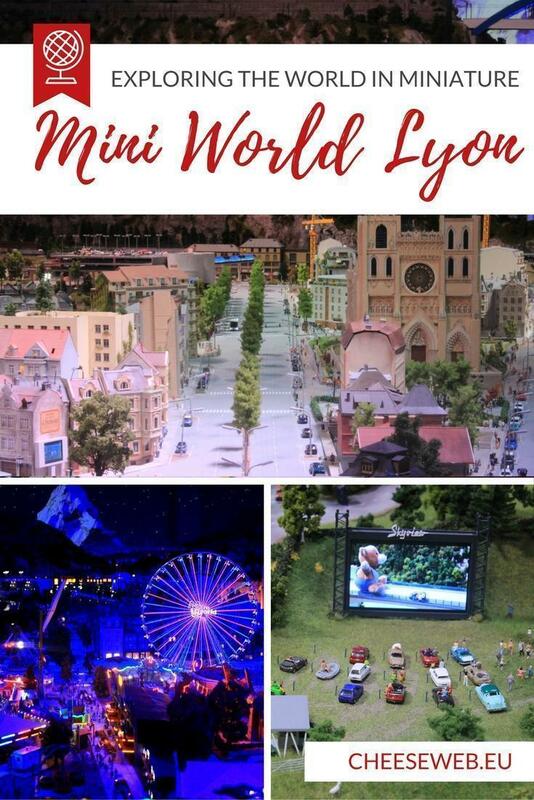 Mini World Lyon is the biggest scale model park in France, opened on June 30, 2016. 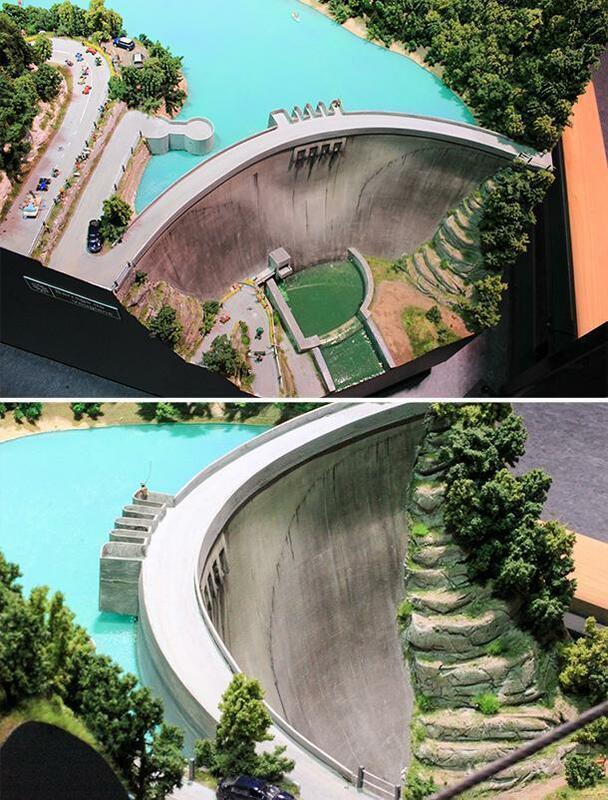 Inspired by the similar park Miniatur Wunderland in Hamburg, Germany, it consists of thousands of vehicles and figurines populating three 1:87-scale miniature worlds with 30,000 mini-inhabitants, 200 vehicles, and 150 trains on over 2,000 meters of rails. These three worlds are the city, the mountains, and the countryside, with scenery created to fit these themes. In the countryside, for instance, there are picturesque houses, green areas, and a camp site. 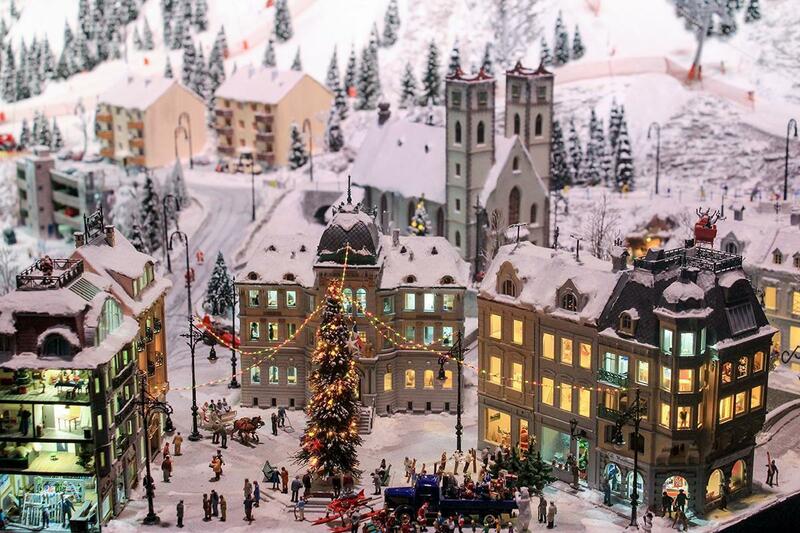 In the mountains, there’s snow, cable cars, skiers, and even a Christmas market. While in the city, obviously, you’ll find bigger buildings, larger streets, and an imposing cathedral. However, as I could discover, some elements are cross-world, like the impressive viaduct built in the city section or the power plant located in the countryside area. The worlds are connected by a network of railways on which lots of trains, mostly French, run continuously. The whole diorama, regardless of the world, is animated. Not only trains and vehicles, but a lot of figurines move too. What’s more, the whole thing goes through a day to night cycle, and there is also a vivid sound ambience. 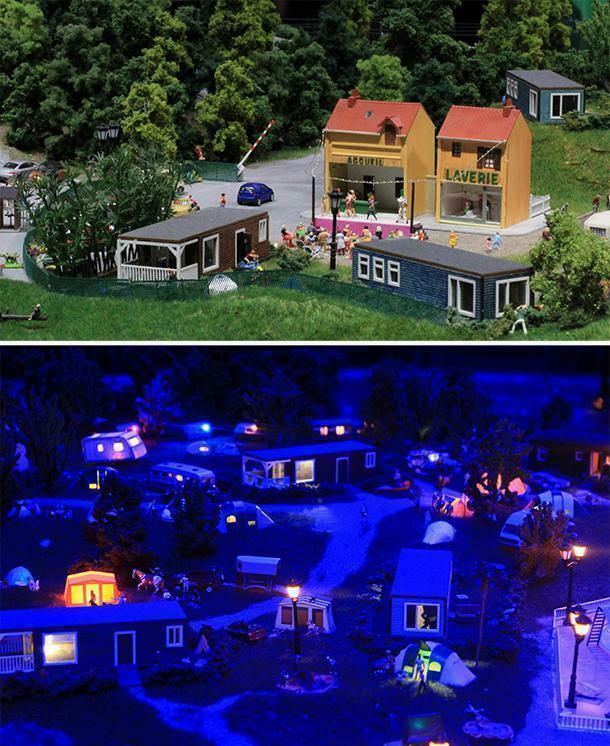 About every hour, you can see the miniature locations in a different light, thanks to the Mini Festival of Lights, a scale model of the famous Lyon event. And for the most challenging part, the park is full of references to popular films, TV shows, cartoons, or celebrities, plus the “Where’s Waldo?” game; all staged with humour and imagination. Although called a park, it’s actually a permanent indoor exhibition. 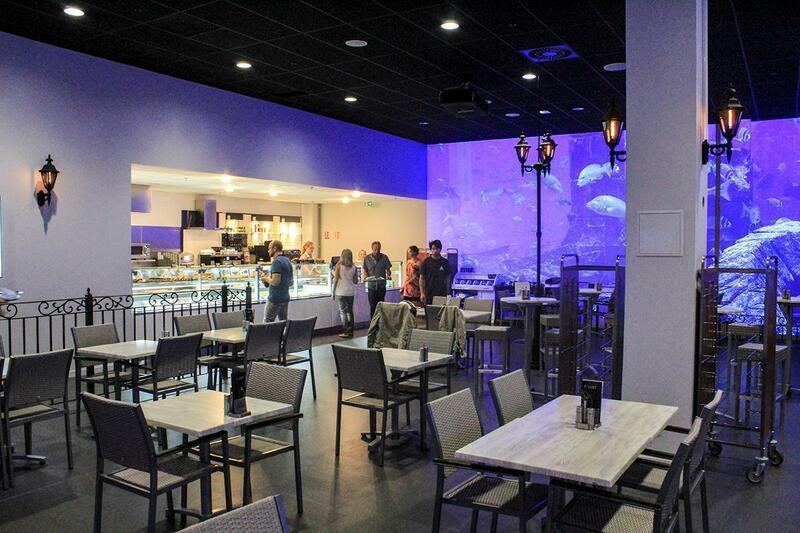 You’ll find it on the eastern outskirts of Lyon, as part of the Carré de Soie shopping mall. Lyon’s metro line A, as well as tram line T3, stop at La Soie station, ten minutes away from the park. Also, a Velo’V bike sharing station is installed right at the entrance to this shopping centre, on Rue de la Poudrette. Mini World is open every day of the year (except 25 December and 1 January) from 11 am to 6 pm Monday to Friday and from 10 am to 7 pm on Saturday and Sunday. 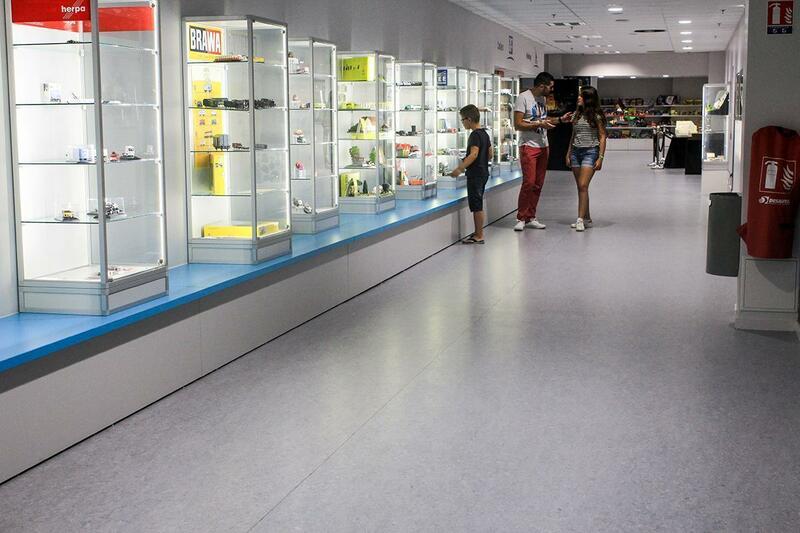 The standard entrance fee is 13€, but various discounts are available, for students or families, among others. Check their website for more information. I had a funny feeling as soon as I entered Mini World. On the wall of the entrance hall, was a huge picture of a small detail taken from the miniature world. It made me smile when I realised these guys spent countless hours to create meticulously detailed scale models and figurines, placed them on a scene, then took a picture of them and expanded it to the whole surface of the wall. 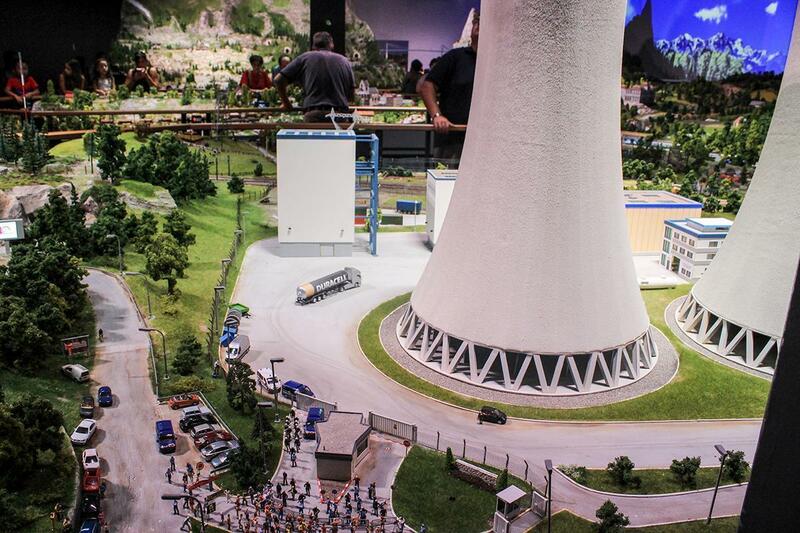 In other words, objects depicting life at a 1:87 scale now looked bigger than they would at 1:1 scale. At the ticket counter, a kind lady provided me with a map of the park and the three worlds and explained that three instances of Wally (or Waldo, depending on where you come from) were hidden in the scenes. This main character from the famous children’s book series was made into 3D figurines and sent to Mini World. It was up to me to find him. Fun fact: At the time of my visit, I was wearing a red-white striped t-shirt. After the ticket counter, there’s the restaurant. It’s called La Place, and it’s modelled on a typical French restaurant. They serve pretty much everything from drinks and sandwiches to warm dishes and desserts, while the atmosphere is particularly pleasant, with a fountain in the middle and animated projections on the walls. I took my time to enjoy a good coffee by the fountain. The next stop after the restaurant is the shop. Unfortunately, it is not an actual scale modelling shop, but rather a toy shop selling toys and books for children of all ages. It’s true; there were a few toy cars that woke up the child in me but not really related to what you can see at Mini World. Just take this as a souvenir shop. 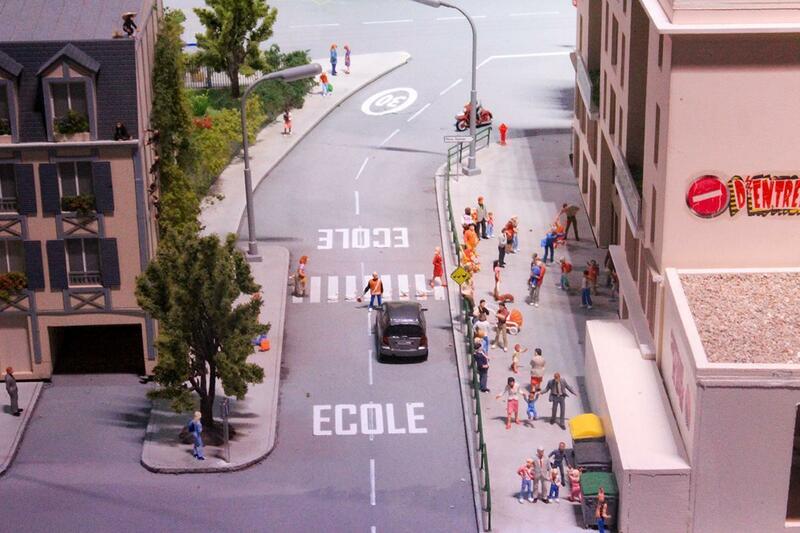 Further on, a long corridor hosts an exhibition on the creation of Mini World and scale modelling in general. 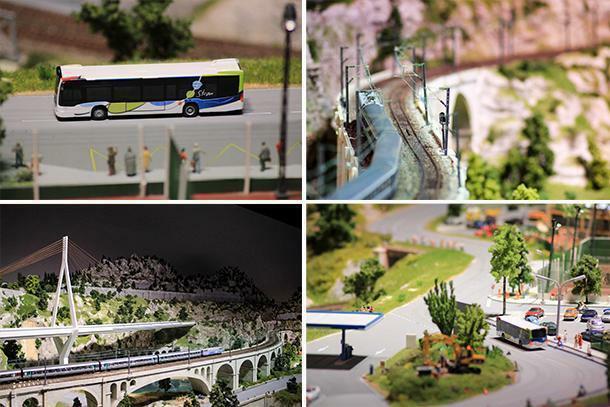 Various pictures and static models are on display, and they are worth a look. At the end of the corridor, you’ll find the control centre, where the whole activity and animation in the park is monitored and managed. This supervision centre is completely open, so you can always have a look behind the scenes. Finally, there’s the park. 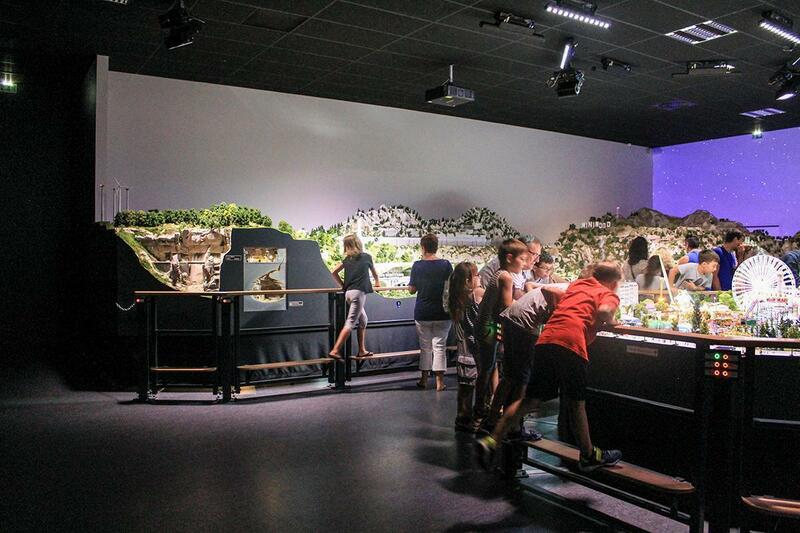 The huge diorama, divided into the three theme-zones, is designed so you, the visitor, can make the most of it. That is, you can get reasonably close to every corner and check out all the locations and gags created by the hard-working team at Mini World. Of course, you are not allowed to touch the models or bend over the diorama, but you can still admire it from various comfortable angles. Moreover, kids can make use of an extra step so they can watch the models from a comfortable height. 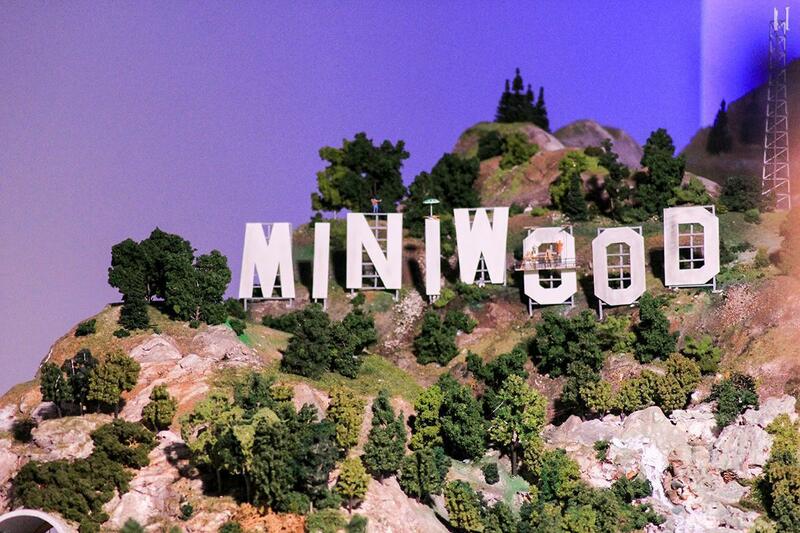 Welcome to Mini World, or is that MiniWood? What’s inside the worlds? Well, a lot of things and I am pretty sure I have even missed some of them. Depending on your preferences, you can focus on the vehicles, the buildings, the impressive quality of the details… or you can go gag-hunting. The city area boasts many works of infrastructure, such as big bridges, a large train station, a wide boulevard, apartment buildings (some of them, eternally under construction), a swimming pool, and even a funfair, all complete with lights and lots of mini inhabitants. A couple of buses run around the town, so the area is well served regarding transportation. Then, there’s the mountain, with all it takes to make this a charming place where you would like to spend your holiday. 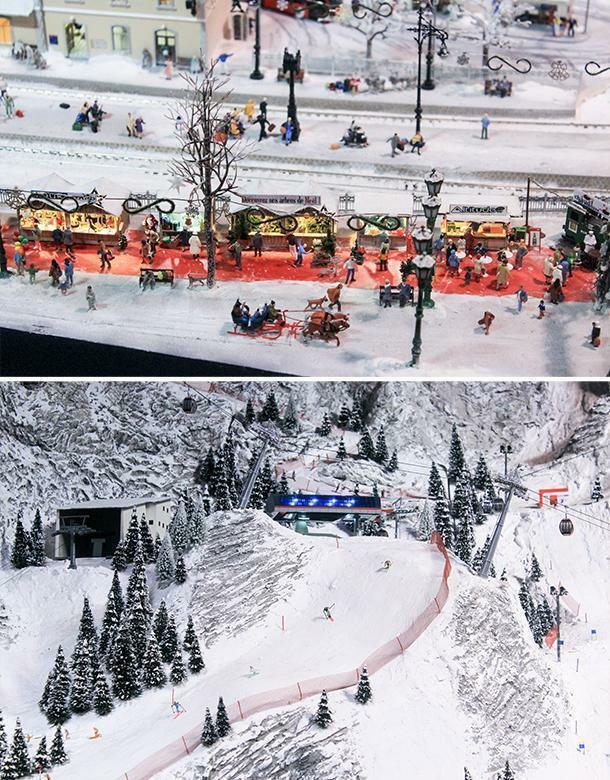 From the imposing dam and its large reservoir to the thriving ski resort, going through the peaceful Savoyard village, the Christmas market, the Tour de France; it’s all about leisure and sports. Unfortunately, during my visit, the narrow-gauge mountain train was not running. Last but not least, there’s the countryside. I must admit, it is hard to make the distinction between these last two worlds. They are so interconnected, with a focus on nature and open air activities, I could not set a clear border between them. In this world, you can spot such leisure area as a campsite, a drive-in cinema, and a summer festival with a rock concert. There’s also a vineyard and its castle, and a farm, while at the end of the visit, a power plant and its surrounding industrial area remind me of city life. 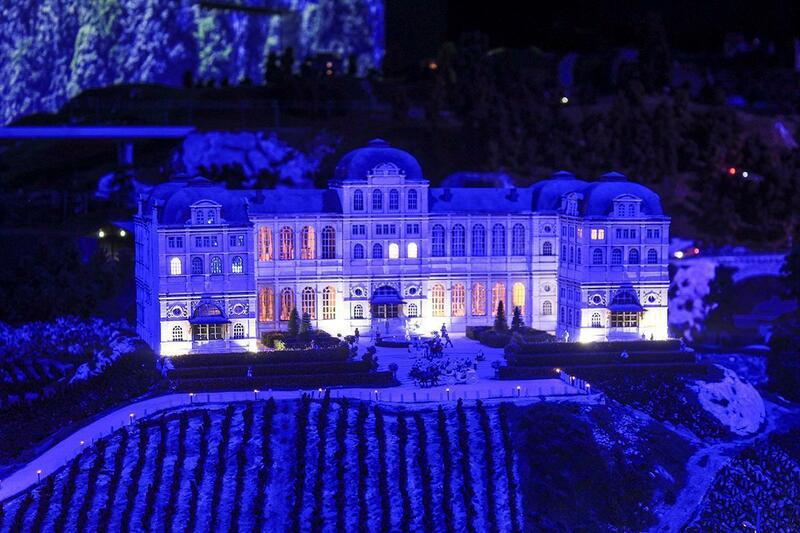 Lyon’s iconic Festival of Lights has its place of honour at Mini World. 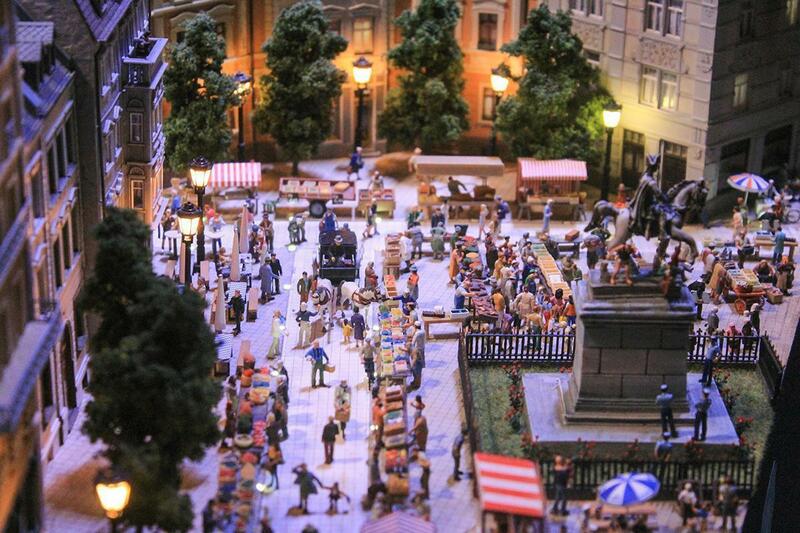 Every 60 minutes, visitors are treated to an impressive show over the miniature worlds, providing real life emotion. 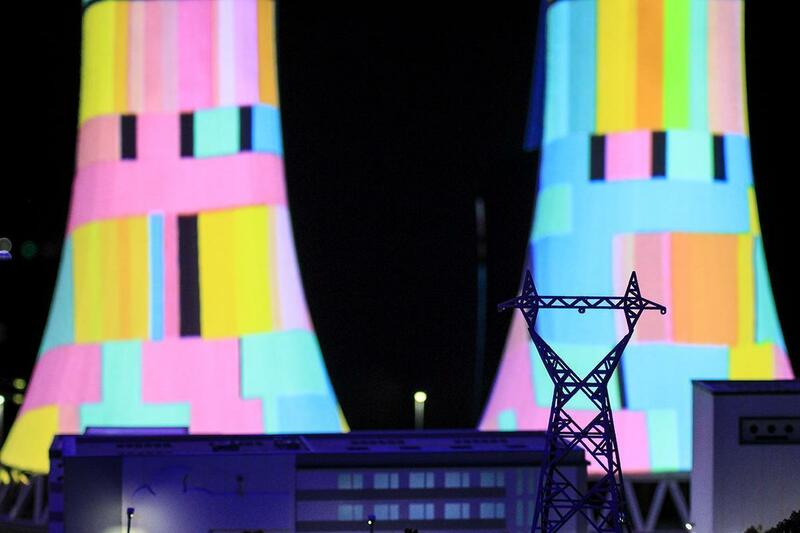 While four songs are played through the park’s high-quality sound system, light projections “dance” on three buildings – the cathedral, the wine castle, and the power plant – but also on the whole snow covered mountain and its ski resort. You must admit a light show projected on an entire mountain is not something you could see in real-life. This show is beautiful to watch, and my advice is not to remain stuck with only one of these key spots. You have more than ten minutes to move around and check out the various mini-projections. 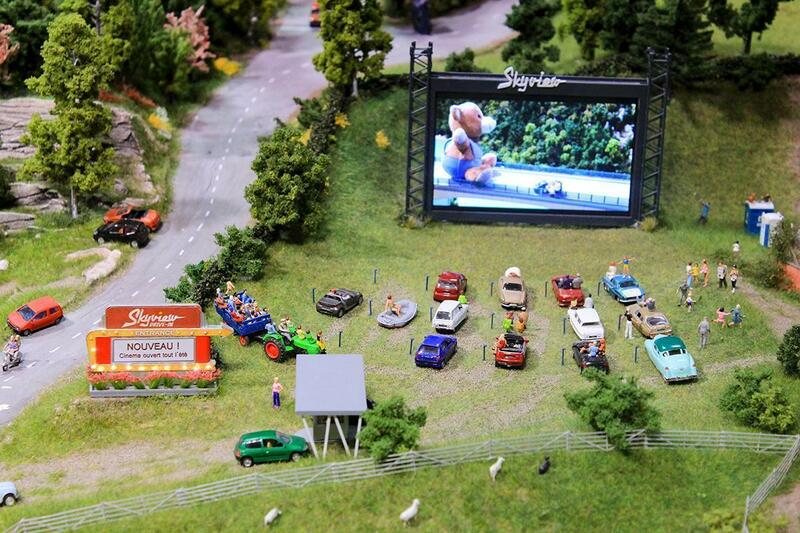 For a complete atmosphere, full-size images are also projected on the walls behind the diorama. 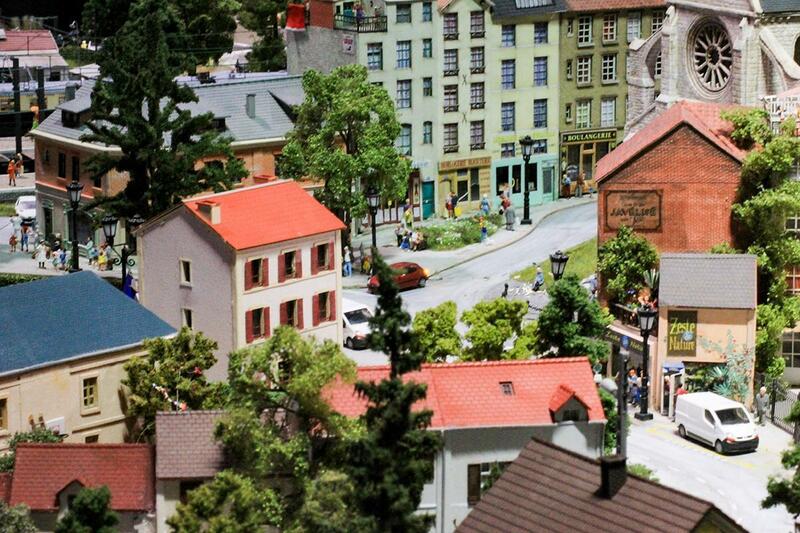 To get a better sense of the detail and beauty of the miniature park, check out my short video about Mini World Lyon. Mini World is not only about watching and leaving. It’s designed to keep you busy, stunned by the amazing level of detail and complexity. For instance, dozens of references to movies, cartoons, TV shows, and celebrities are inserted in the worlds and among their mini inhabitants, challenging the visitor to search for them. At the outdoor festival, you can add a personal touch by providing your favourite music. An audio jack is at your service – plug it into your MP3 player or phone and your favourite band will get applauses from the mini-crowd gathered at the mini-stage of the mini-festival. 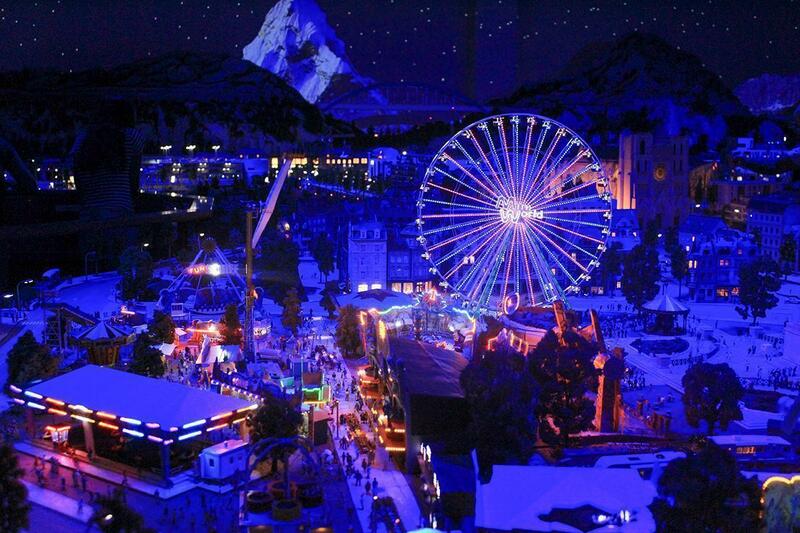 On the more straightforward side, buttons allow you to activate various animations, such as the big Ferris wheel in the funfair or the cable cars on the snowy mountain. Feel free to try them all, but be a little patient, as some of the buttons will be disabled until the ongoing animation is completed. On the high-tech side, there’s the mobile app, available for iOS and Android. However, when I tried to download it on my Android phone, I got a message stating the app is not available in my country. I assume this has something to do with my Google account being based in Belgium and I guess the app might only be available to French accounts. Strangely enough, though, I could easily download the iOS version on my iPad. Unfortunately, I only did it when I was back home, as an iPad is not easy to handle in that context. All I can tell you is what the app can do, but not how it works and what it feels like to use it during your visit. The app is designed to bring more fun and energy to your visit. It uses Bluetooth to activate various notifications when you get close to specific places of the mini worlds. This way, you’ll visit the park in an interactive manner, with three options available. The Fun Facts option will tell you quirks and backstage facts about the project and its construction – how the vehicles work, the story of the campsite built as a result of a crowdfunding campaign, or the fact the big dam in the mountain area is the only replica of a real place. This option is also interesting if you are impatient to visit the park or if you had to leave it too early. The Riddle option is a playful investigation aimed at finding a stolen hot-air balloon. A series of clues will guide you through, and if you manage to spot them all, then you are likely to find the thieves and the balloon Too bad I could only simulate finding it, while at home. The Hidden Animals option puts your attention and observation skills to the test: you will have to find animals hiding among the mini inhabitants. A giraffe drinking water from the swimming pool or a deer on skis are just two of the intruders you must find. If you spot them all, you will unlock an extra challenge, giving you the chance to get a gift from the shop. It makes me want to return to the park! 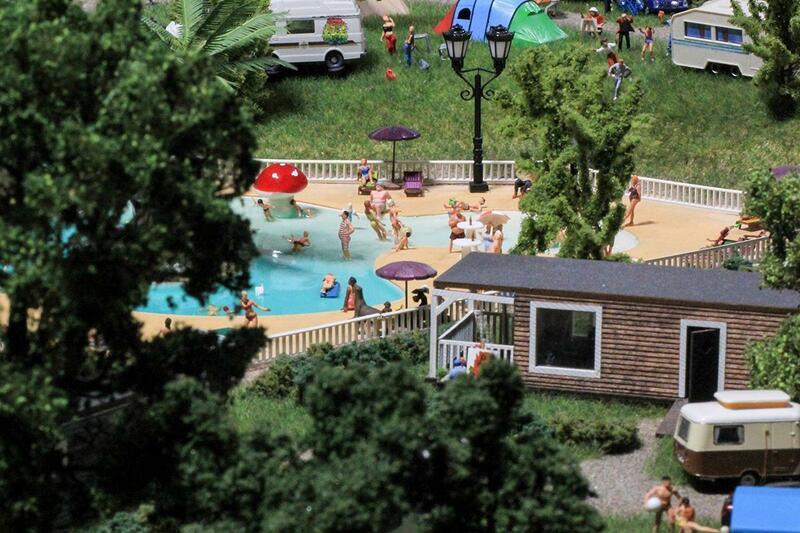 Can you spot the animal intruders at Mini World? 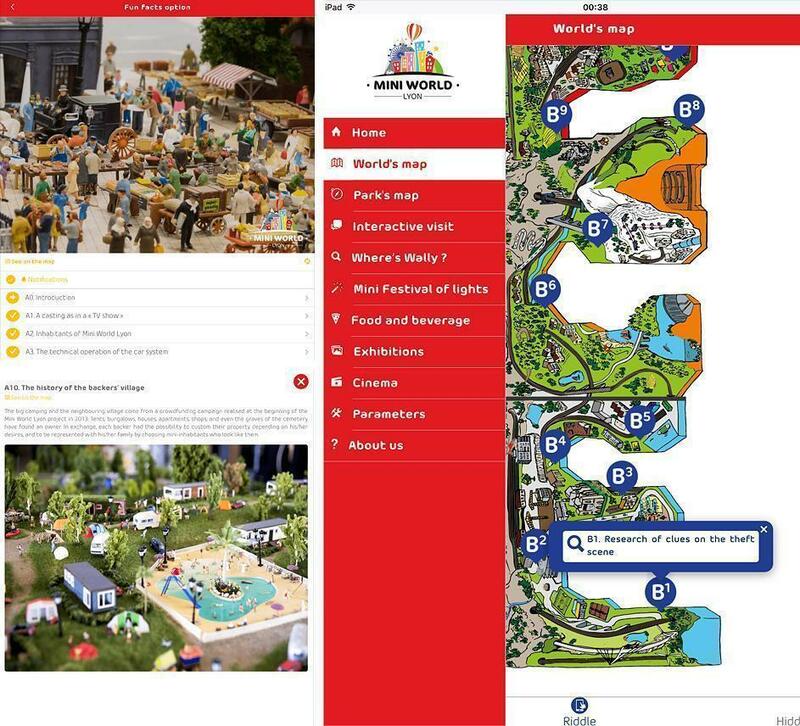 The application also provides the maps of the mini worlds and the scheme of the park, the countdown to the next instance of the Mini Festival of Lights, as well as the restaurant menu. It’s definitely fun and useful overall, but it’s a pity I could not make proper use of it. What’s Next for Mini World? 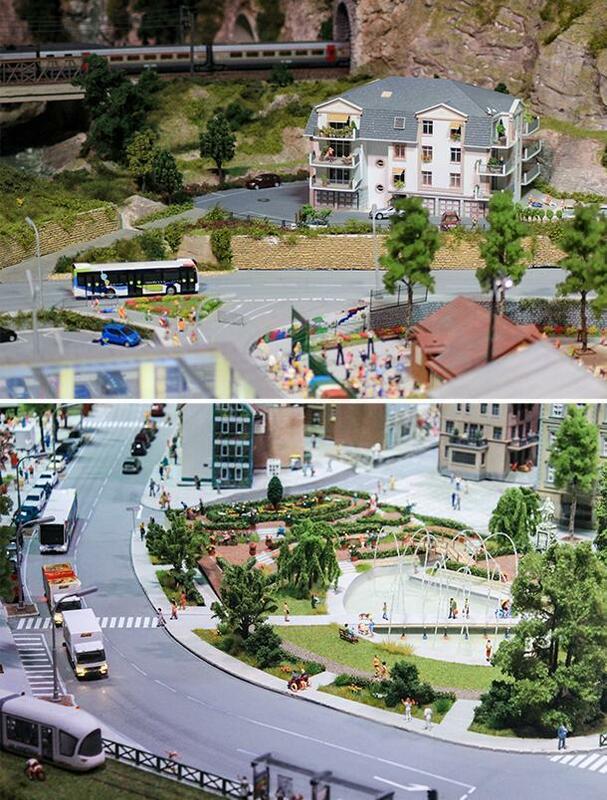 Although open this summer after three years of work, Mini World Lyon is still growing. A fourth world, depicting the landmarks of Lyon is planned to partially open in late 2017 and be complete in 2018. From January 2017, you can catch a glimpse of the evolution of the project through a window placed at the edge of the current three worlds. From 8th December 2016 until the 2nd January 2017, a special event will celebrate the already special Festival of Lights. 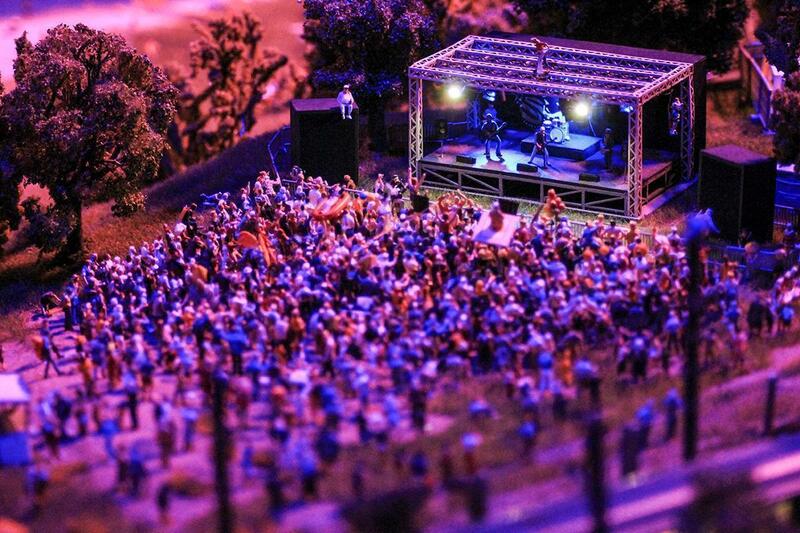 Reproductions of the best light shows taken from the full-size Festival will be projected in the park, either on the miniatures in a mini version or on big boards. If you are in Lyon this December, this sounds like one more good reason to visit Mini World. I left the park after a couple of captivating hours. I thought I found Wally, but I’m afraid it was a red herring. 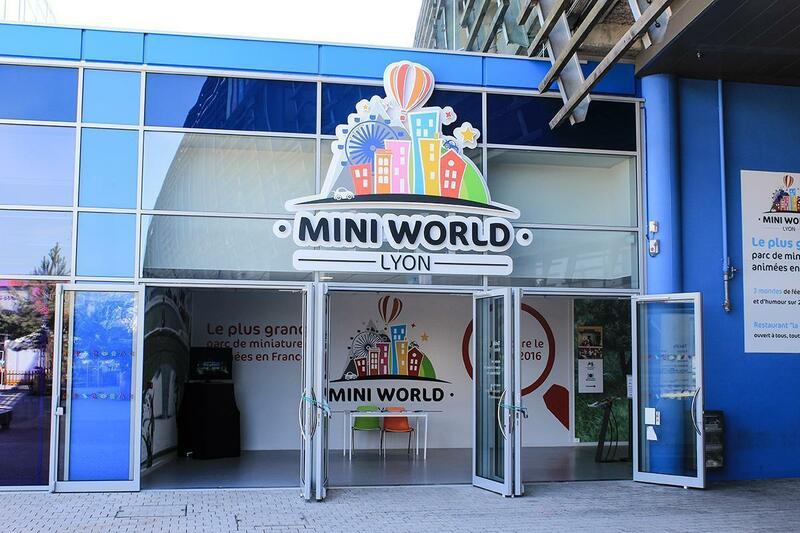 There’s a lot to discover at Mini World Lyon and a second visit would surely be as captivating as the first one. So, who knows, I might be back one day. Wally, Waldo, or just a red herring? And if the Mini World staff are reading this, I have a little question. During my visit, I waited impatiently for the Belgian SNCB train to come. It shows up in the video teasers on the website, but I could not see it during my visit. Where was it?